Twice as many elephants work in Thailand's tourism industry as the rest of Asia combined, with the vast majority kept in "severely inadequate conditions", a new report revealed Thursday. The world's largest land mammal is a huge draw for tourists across two continents. But while Africa's elephants are more likely to be spotted roaming vast nature reserves, their Asian cousins are less fortunate. Their data showed pachyderm welfare routinely came in second place to turning a fast profit, with three-quarters of Asia's captive elephants kept in conditions that were rated poor or unacceptable. Thailand stood out as the global epicentre. Of the 2,923 elephants WAP documented working within Asia's tourism trade, 2,198 were found in Thailand alone. All the venues visited, which researchers said represented 90 percent of the industry, were rated on a scale of 1-10 in terms of conditions with 77 percent scoring between just one to five -- what researchers classified as "poor or unacceptable". "When not giving rides or performing, the elephants were typically chained day and night, most of the time to chains less than three metres long. They were also fed poor diets, given limited appropriate veterinary care and were frequently kept on concrete floors in stressful locations," the report said. "As a general rule, if you can ride, hug or have a selfie with a wild animal it's cruel and you just shouldn't do it," he told AFP. Researchers added that the 30 percent increase in Thailand's tourist elephant population since 2010 was based mostly in poorly rated venues. 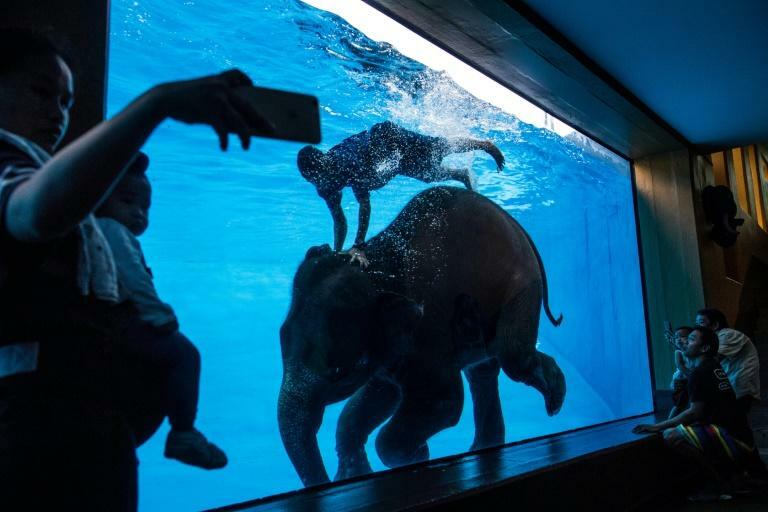 Thailand's elephant entertainment industry took hold in the 1990s after authorities banned the use of elephants in commercial logging and owners said they had to find new revenue. Most of that generation of elephants have now died out, yet the number of elephants involved in the trade keeps increasing. The country has more elephants in captivity than living in the wild. 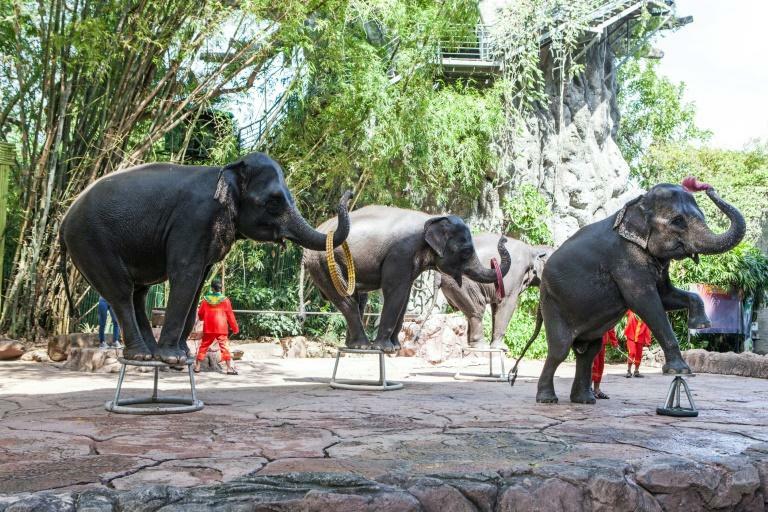 WAP said they were particularly concerned by Thailand's animal circuses, where elephants can often be seen riding tricycles, walking on tightropes and even playing basketball. 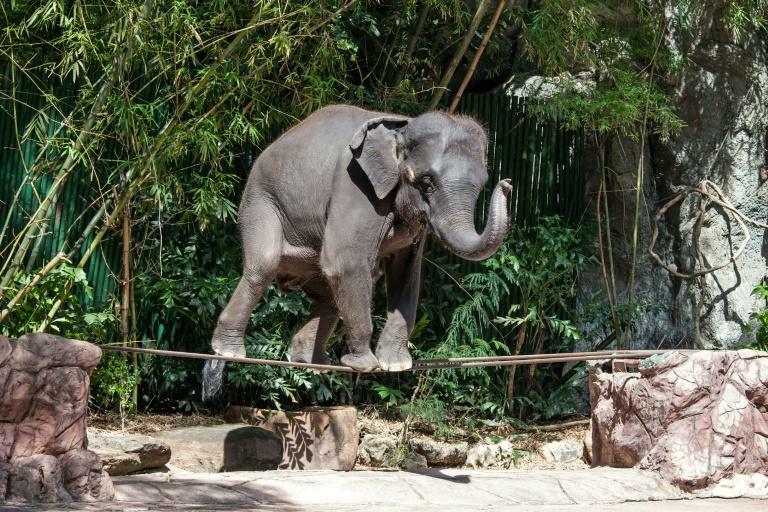 "The training required to make elephants perform such tricks is particularly cruel and stressful," researchers said.